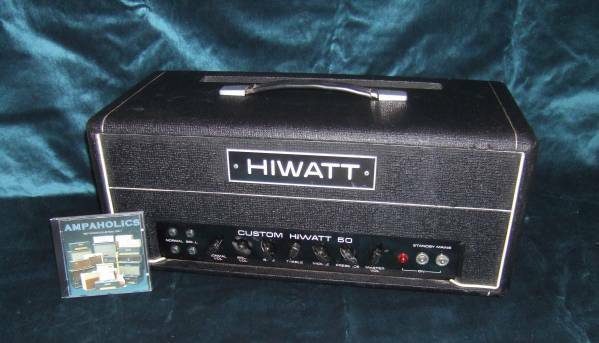 This Hiwatt DR118 serial number 356 was played by many a rock legend although it never left the factory, Ian Oates Who worked along side Dave Reeves in the early Hiwatt years has many fond memories of artists such as Pete Townsend ,Dave Gilmore and Jimmy Page visiting there work shop to try out and offer different idea's for there Hiwatts. 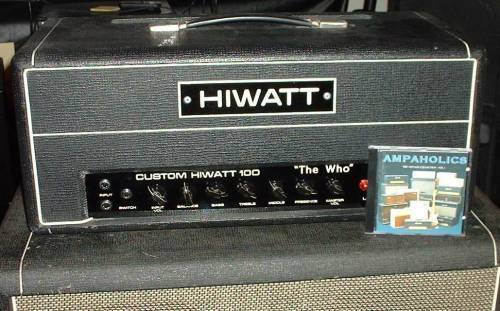 The DR118 was the factory prototype and showed potential buyers what options were available, such as "The Who" or what ever name the buyer wanted could be added to the front panel, The DR118 has a switch from 30watts for the studio and 100watts for live work. A Footswitch was also added to change Gain settings which could be adjusted by the master volume & channel volume controls to create high gain distortion at low volume .